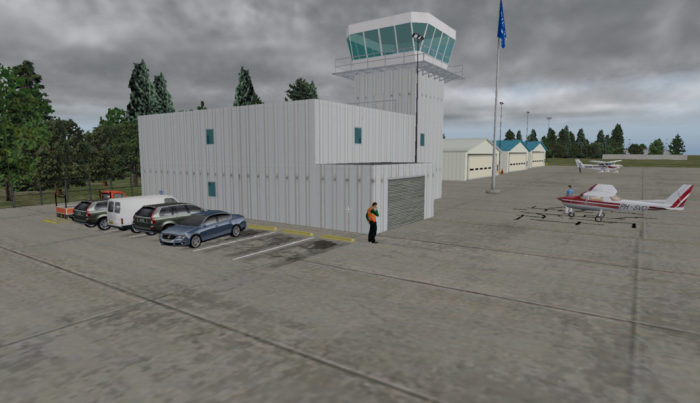 25000 Prefab Airports package for X-Plane 11 (also works in X-Plane 10). The scenery package contains 25000 (computer generated) airports with 33 types of sceneries (in 3 different layouts and 3 climates zones), which I call Prefab airports. The Prefab Airports are split up in packages per continent (USA split into 3 separate packages). There is also a FSE package for use with FSEconomy (see webpage on FSEconomy for explanation). All packages contain only airports with 1 runway (except the FSE package which contains all missing airports whatever the number of runways). These packages contain a lot of airports, but they are now build using the new exclusion method (X-Plane developer blog). As a result you will only see a Prefab airport if no other scenery is available (you need at least X-Plane 10.45+ for this to work). IMPORTANT: this only works correctly if you place the Prefab packages below the other scenery in the scenery_packs.ini file (see instructions for more information). NB: my packages do not conflict with the Global Airports. In my package I have used or included objects made available by the following members of the X-Plane forum: dkm, Chris Noe, Marginal, Jacques Brault, fschutzman, FlyByGuy, gplv3, Al., capnsully and Einstein (hope I didn’t forget anyone). Thanks! Special thanks for Ben Supnik from Laminar for sending me a special version of the DSFTool for the new exclusions!